Facebook is giving us more ways than ever to quickly and inexpensively generate custom audiences. As a busy store owner, learning to navigate Facebook's myriad of advertising options effectively can be a time-consuming endeavor. Kurt Bullock joins us to discuss Facebook's new options, and you can use them to set up a sales funnel that segments and targets customers through their relationship with your brand. Kurt Elster: Today, I've got none other than Kurt Bullock, slightly confusing we have the same first name. He's a Shopify marketing master who specializes in Facebook ads. I noticed because he's been working with me for the last several months fulfilling a lot of our projects and doing an extraordinary job. I'm really excited to have him here with us. Anyway, we're going into it. We're recording live from Ethercycle Headquarters outside Chicago. I'm your host, Kurt Elster. Kurt, thank you for joining us. Kurt Bullock: Good morning, Kurt. Kurt Elster: How're you doing? Bullock: I am doing great. Kurt Elster: Diving right into it, Facebook ads and Shopify, we know Facebook ads are great way to drive new traffic, qualify customers to your store, bring back prospects, people who haven't bought yet but a lot people who implemented themselves do it in a way probably differently than you and I would go about it. Let's start with, what's the wrong way? How are people doing it and screwing it up? Kurt Elster: Like a customer avatar? Bullock: There you go. You're putting together a customer avatar, trying to find all the magazines that they read, their customers, their competitions, Facebook pages and try to put together a profile and run ads to that group of interests. The problem with that is you are reaching a pool of audience at that point. They don't know anything about you and it's an expensive and a hard way to go. A lot of people come away from Facebook ads, Googling it doesn't work, I think, because they have difficulty with the targeting. Kurt Elster: Interest targeting not very effective. What works better than interest targeting? Bullock: When I work with a new client, the first thing I do is get them to upload, let's say, a customer list if it's larger than 100 or 200 customers or their whole newsletter list so that we can create a custom audience. Kurt Elster: Why do we need the two different lists? Why not just lump them together? Bullock: It's great if you can segment and find the most, let's say, your best customers. For instance, if you were to rank them just your newsletter members are going to be less targeted, less relevant than your customer list who have all gone through and decided to purchase your product. If you have enough customers that you can upload this to Facebook and the reason you did enough, I say that, is because Facebook's then going to use their algorithm magic and try and create a new audience for you. Create a lookalike audience with completely unique people in there for you to target your ads to. Kurt Elster: That's based on if I give them a list of email addresses or a list of phone numbers which is less successful. What's the minimum for to make a lookalike audience? Bullock: I'm not sure what their hard number is, to be honest. I usually don't upload anything less than 200. I don't have very good luck if I go under 200. They may have a hard limit but I couldn't tell you what it is specifically. Kurt Elster: It changes. It's hard to keep up because the stuff changes so quickly. Kurt Elster: It used to be 100. If you upload a list of 100, that assumes 100 percent match rate, right? Not every email address will correspond to a Facebook account. Kurt Elster: 200 is a totally safe number to do with. Let's say, I had a bigger list of past customers. I'm not even playing devil's advocate here. I generally wonder about this. Is it better to upload, let's say, I've got a list of 10,000 customers, and just put everybody who's ever given me $1, or more? Or segment it and say, "All right, should I only upload the 1,000 repeat customers I have, since they'd be my best buyers, or upload the buyers who spent more than $1,000 with me in the last year?" Bullock: That's exactly right. I would definitely go ahead and upload the repeat buyers, or the buyers that have exceeded a certain threshold, if you have numbers like 10,000 to work with. A lot of people don't. You put together the best audience that you can and give Facebook the best material to work with. Go ahead. Kurt Elster: For lookalike audiences, we want quality over quantity for my source material? Bullock: You've got it. Garbage in, garbage out. That's exactly right. You want to make sure that you give them the best audience possible. They'll give you a new audience to target. Sometimes, you do have to jump up to your newsletter list, if you don't have very many people to do that with. Kurt Elster: They generate. We give it source material. We want whatever we have, but the highest quality we have, minimum 200 to be safe. It generates a lookalike audience of that. It just says, "All right. Facebook bought loyalty card data, and credit card data, and unbelievably creepy stuff that they know about you," but it makes for effective ads when they can build these profiles. It's not like there's a person doing it, which if that helps you, make it feel less creepy. It's an algorithm that does it. No one can individually pinpoint people. They're very careful about that. It creates a list of two million people, say, in the US. Once I've got that list of two million people, here's another one, where again, I'm not playing dumb. I really wonder this. Is it a good idea to run the ads against that entire list of people, or if I have a clear idea of who my best buyer is, to run some segmentation on that list? I say like, "Here's my best buyers. Give me a lookalike audience." Now I know my best customers are women, 25 to 34. Should we limit the custom audience to just that? Bullock: That's what I try and go with. Two million is a high number. Facebook is getting much better at being able to handle that. Before, it was a bad idea, in my opinion, to run against two million. I still try and put on some limits. Albeit, when I start a new campaign, I do try and go broad so that I can collect data. Sometimes, I am surprised at who really is engaging and who's purchasing. I oftentimes, try and go broad. If I'm selling something that is for women primarily, I'll go ahead and select women but I might leave the age range open and then let it run for, maybe, a week or a few days at the very least. Then go back. Check the results. I can begin to focus that in before I have wasted too much money on, maybe, those outlying age segments. Kurt Elster: Do you use the Audience Insights tool for this? Bullock: Yes. I use Audience Insights to research it. I build the ads in the Power Editor. It's got a real similar form that you'll find in the Audience Insights tool, you'll find in the Power Editor for building these. Kurt Elster: I am addicted to the Audience Insights tool. It is my favorite thing. [laughs] It is the coolest thing to play with because you don't have to spend any money with Facebook to use it. You could just say, "All right. Facebook, you've got all this info. Give me all the demographic data about my Facebook page likes." Or, "Here's an email list," or, "Here's a list of phone numbers. Tell me, what does this audience look like." They tell you like, "OK, well, they're dislikely to own a home, be married, in this age range, have this level of education." It's just unreal. I think it's a ton of fun to play with. Bullock: It is. It's crazy. As you mentioned before, Facebook purchases all these third party, big hunks of data. They try and assimilate that, and match it to their Facebook users. You can find out stuff that's not related. For instance, if they're in a market for a car, their buying purchases, if they have a mortgage, and then stuff that you do indicate on Facebook. I was talking yesterday with somebody that did things for people that are getting married, and weddings. You can see if people are engaged and target people that are getting engaged. It can be creepy, if you're not careful with the way that you approach it, but really, really great information. Kurt Elster: Yeah, it's a little disturbing when we were shopping for a house, and suddenly I'm seeing ads for houses. I didn't put anything on Facebook about that. We hadn't announced to anyone that my wife is pregnant, and we're already seeing ads on Facebook. It's a little weird. Bullock: That's a little much. Kurt Elster: The end result though is it creates relevant advertising, it's very personalized, it feels real. I've got my custom audience, I've got my Audience Insights, I've got all this stuff loaded into Facebook. Well, I always view that there's three kinds of customers that I can advertise to. I got cold traffic people who've never seen or heard of me before. Warm traffic people, say, visited the site in the last two, three, four weeks, and purchasers, people like my active customers who bought from me. What do I do now? Kurt Elster: Yeah, explain it. Kurt Bullock: The Facebook pixel is just a little piece of code that you get from Facebook when you sign up for an ad account. You want to put it on all of your web properties, on every page of all your sites, whether you're marketing them right now or not. The sooner the better, because the day will come when it's useful to you and it can be a real treasure trove if you have had it sitting there collecting information. I guess the way that it collects information is that as people visit your site, this will communicate basic information about their activities on your site to Facebook that you can then use to market to them. For instance, I had a customer, we had put a pixel on their site about six months ago. He forgot about it. They engaged with us and for our first promotion, we had a list of 22,000 people that had visited their site and not taken any action. The owner in this case didn't know how he had collected that information, but it was because we had that pixel on there. That's key. You really can't do Facebook advertising without a pixel. One last point on the pixel, that's what gets your analytics data. You can see if any of your ads are converting, if sales are coming from those ads, and it can really help you steer your efforts. Without it, you're pretty much going blind. Kurt Elster: In Shopify, there's two ways to implement the Facebook pixel. I can either just drop it into...under website settings, it will say like, "Google Analytics," and then your Facebook pixel, and you just give it the ID number. Makes it very easy. When they first rolled that out, it had issues. It didn't report right. Has that been fixed? Do you use that or do you manually write it into the theme and the checkout settings? Bullock: I do both, depending on the customers' commitment to sending data and also their needs. You're right, it used to be really bad and almost unusable, and then they took major steps to fix that. Now, you can actually get by -- better than get by -- you can do well by just putting the pixel in there, it'll send good data. I still run into issues with my customers that if we want to get really custom, then I usually go in and use Google Tag Manager and we do a custom setup so that we can send exactly the data that we want for different actions that they take. You can go custom, but if you guys are getting started, by all means, just get that pixel ID number and you can Google that. I'm sure there will be 100 screenshots that show you how the pixel ID looks like, pop it into your Shopify theme, you just go to the online store, and then preferences, and then it's going to be about halfway down the page. Kurt Elster: I've got my email lists uploaded, I've generated lookalike audience based on those, I've run through them with Audience Insights to get a clearer picture of who my customers are. I've got my Facebook pixel integrated on my site, which you can also run Audience Insights on the anonymous visitors to your site so it gets the value out of that, which is cool. At that point, I'm set up. I'm ready to start paying money and running ads, which is cool at this point. We still haven't spent any money yet in this process. We both approach it as a funnel, right? You should always approach everything as a funnel. Where do I start? What do I do? Bullock: Facebook's done some really cool things with custom audiences, so my first objective when I'm building a funnel is to take that cold traffic, that really wide audience, could be a few million if you scope it that high, and bring that down to just the people that have a realistic chance of being prospects for my products. There's a lot of ways to do that, but one of the ways that Facebook has recently introduced is we can create custom audiences based on video views. What I would do is after I have all the stuff that you just described set up, you could then put a product video, explainer video. The old way to remember it was to educate, demonstrate, or entertain as many as you can. I put together a video like that and then you can have Facebook create a new audience, a new custom audience with people that have watched a certain percentage of your videos. If you sort it by people who have watched 95 percent or more, they will be more relevant, but it will be a smaller audience. That's the trade-off. If you need a larger audience, then you could go to people that watched 25 percent of your video or 50 percent. The idea here is that people would only stick around and watch 50 percent or 95 percent of your video if they are interested in what you're talking about. That builds that next custom audience and this audience is going to be more focused and this is where I'm going to begin to really focus my advertising dollars and my retargeting campaigns from here down the funnel. Kurt Elster: I love product videos, especially to get that initial traffic. They're moving in my timeline, they indicate a higher level of sophistication that if I just had an image ad. What makes a good video? What are the caveats here? How long should they be? What should I go for? Bullock: There's a lot of testing being done and it depends on your market. That's the thing that, unfortunately, you hear over and over again, is that it's all about testing and experimenting, which is also cool because you can find out the answers for your particular store by running a few tests. Having said that, I have had really great luck with videos that are two minutes or less. I've got a friend who actually had these seminars that he had recorded and posted. We're talking like 60, 70 minute seminars, and he posted those and gave those a shot as well, and figured, "Boy, if somebody sticks through that whole thing, then they're definitely interested in what I have to say." He came with a really small audience, the very focused. What I normally do for an e-commerce store is a two minute product video. You could feature a bestselling product, a new product. I've had great luck with behind the scenes footage, customer stories, all this stuff that gives customers a behind the scenes look at who's running the company and about your products. Helps to form that relationship so they can start to trust you, and the next time you speak to them, it's not, "How do you do, sir?" a cold new introduction. Now you can speak to them as acquaintances. You already know each other and something about each other at this point. Kurt Elster: The only caveat...Go ahead. Bullock: One last point on that...Go ahead, Kurt. Kurt Elster: Videos, if you watch, you can graph in Facebook how long people watch, like what the drop-off is. It looks like a black diamond ski slope the longer it gets. Even a two-minute video, I've seen you'll lose 60 percent of people in the first 30 seconds. Anyone past 30 seconds is like super engaged because they've watch the whole thing. The only caveat I've seen is you have to assume that the video has to work without sound. Either at close captioning to it, which they make very easy, or just try use title cards to try and have it make sense without sound. Bullock: That's exactly right. Another thing that I would like to add is you can include call-to-action link. The three that I use most often for ecommerce, I had to shop now, learn more, or signup. There's little call-to-action there. Even if they don't take action, if they only watch the video, they are now in your funnel, which is pretty amazing. Kurt Elster: Do these have to be professionally produced video, or can I just take my iPhone 7 and turn it horizontal and film myself talking? Bullock: That's exactly right. It's funny. A lot of times, people see a slick production and skip it. It seems marketing material. It's something that at apartment put out, maybe. When we see somebody that has a phone turned towards themselves or they're filming a product, as long as it's not real shaky and annoying in that way, then I've had really great results with that. Oftentimes, better results with a slightly Lo-Fi video compared to the really polished ones. Kurt Elster: Because it feels authentic. Bullock: Polished ones feel really effective. That's exactly right. You get the authenticity, which is what people are looking for when they're engaging and trying to learn about your business. Kurt Elster: At this point, in theory, the person clicked through the ad or watched most of the video. Now, what do I do with them? I'm assuming they haven't bought yet. Bullock: If they have bought, then you can eliminate them from the rest of this ad funnel. What I typically do is after I have them sorted by, let's say, people that watch 50 percent or more of your video, then I start making what maybe would be my old cold offer. For instance, you could take a carousel ad of your five best selling products. Send that to them with a promo for new customers. First time buyers, promo code, and here're some of our top products. Now, instead of running this ad right into the huge audience, it's a more focused audience for advertising, those are more effective. It's interesting that further you go down the funnel, the higher your ROI and the lower your cost, your CPM goes down to the cost observe a million impressions to your viewers. That's the next thing I do, is try and get them to the site to take a look at a product. Kurt Elster: How do we do that? Bullock: Oftentimes, I use those carousel ads. Kurt Elster: One of those? Bullock: Yes, carousel ads with top selling products are awesome for that step. Once they make it to your site, then the efficiency of your ads go ways up. It goes way up because you can see what they looked at, and the next ad that you show. If they didn't convert, then the next ad you show them can be related to whatever they checked out on your site, which is amazing. It's awesome. You can deliver a message that is appropriate to a product they look at and how far they are down the funnel. If they've added the card, then you can send them a card and didn't purchased, then you can send them on a banning card message. Kurt Elster: These are all variations on re-marketing, right? Bullock: Yes, you got it. Everything is re-marketing below your initial cold traffic campaign. Once you have a custom audience built, then you are re-marketing, which is super effective. Kurt Elster: I love re-marketing. Essentially, you're only showing ads to people who raised their hand. Suddenly it goes for people who you really like. You're a street vendor at that point just yelling at them in their news-feed like, "Hey, check this out. We're selling Simpson and Son Tonic." Like that, how it feels when it's just these drive-by ads versus the re-marketing ads. Those people evolve. They have in some way raise their hand and said, "Hey, I am recently interested in what you're selling." They're familiar with it. It doesn't feel quite so strange, it feels personalized. The other thing is you're no longer biding against this huge pool. You're only targeting your own audience now. Suddenly, the cost per click goes way down. Bullock: Absolutely. There's new features that Facebook has ruled out you. Not everybody will see this in their accounts if they were to look today, but they're ruling them out actively right now. For instance, when somebody makes it to your site, you can now do things like you can create a custom audience of people that have added a particular item, or added anything to their cart more than once. Let's say seven-day period without making a purchase. You could target people that have purchased a certain amount in a time period. You can target people that have looked at, let's say, five pages or more. There's all kinds of cool stuff that you can do now with these new audience. The way that you find those is when you're building custom audiences just like the way that you normally would in Facebook, there's a new button that will appear. It says, "Advance mode." If you click on Advance Mode, that's where you can really unlock all of this potential. It has modifiers like it will sum numbers for you, do greater than, less than, at least, all kinds of cool stuff. The goal of this is obviously to find the most relevant audience. Pick up the low-hanging fruit, the people that are ready to take that next step and give them the right offer. Kurt Elster: If you've got an existing store, you have existing traffic sources, I would focus on editing the re-marketing because that's your low-hanging fruit. You can add this safety net of sorts to bring people back to the site. We know on the average, I don't even need to see the site. People will have to see it like, three, four, five, maybe up to eight times before they make a purchase decision. What was I going to say? I lost my train of thought. Versus if you have no traffic, then the re-marketing really is going to be a struggle. It's nice to put it in place early because you only need an audience of 100 people before they'll start showing. You want to focus on that top of funnel, which is so much harder. With videos, it really makes it much easier because they're engaging. They don't have to be high production or crazy. Bullock: This could be anywhere, but it can be the top of your funnel cold. Now, Facebook lets you target people that have engaged with your Facebook page. It lets you target people that have opened up a new type of ad. It's not that new anymore, but a lead ad. There's all kinds of ways that you can build these custom audience. It's where it used to just be people that visit your website. Now, you can target people. They are taking different actions with your content on Facebook. If you are getting started, you don't have a great web presence, then you can start with a Facebook presence, or just start posting content on Facebook and targeting people to interact with. You can send ads to people that thumbs up your post, if you want, or share them, or all kinds of different actions. It's a great way to fill the top of your funnel, and of course build those re-marketing audiences. Kurt Elster: There's lots of great advice here. In 20 minutes, we packed in a ton of info. I'm sure some people's heads are swimming with the stuff. You put together a download that walks us through it. What's that about? Bullock: I put together a download. It's got 14 different targeting custom audience setups that we run through. With screenshots, that will show you how to create them on your end. I was talking about how to target people that had purchased two times or more in 30 days. You can see exactly how we put that together. You can download that from our site. 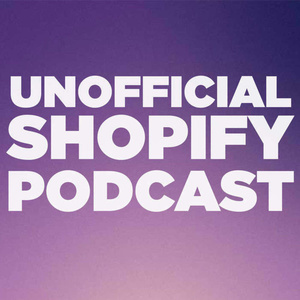 The web address is producedept.co/unofficial-shopify-podcast. Kurt Elster: I'll include that link in the show notes, of course, for people. You sent me the PDF. I've got it in front of me now. It is literally screenshots of here is the custom audience, here's exactly how to set it up in Facebook. It makes it super easy to start experimenting with stuff right now. Bullock: You could start using the stuff this afternoon with your ads and see better results, make more sales, target the right audiences. Kurt Elster: Kurt, we're coming to the end of our time together. Do you have any closing thoughts? What's one thing you wish every shopify store owner would do? Bullock: The crown jewel of Facebook advertising is getting dynamic product ad setup, that's another episode. You could Google it, but they're amazing. It's something to strive for. It's not very difficult to setup. That's one thing. The other thing is really just focusing on learning how to create cold traffic. As you mention, that can be the most difficult part, but that's the key. It's learning how to bring cold traffic into your funnel. If you can do that, then these other campaigns that we've talked about will take care of the rest and bring people safely down to purchase and repeat purchaser. Kurt Elster: Where could people go to learn more about you? Bullock: You can check out our main site, which is producedepartment.co. I've also got another site, kurtbullock.com, which has some of the other things that I work on. I have developed some software ads and that sort of thing. Kurt Elster: That was incredibly helpful. I hope people start experimenting with these new features in Facebook ads. They're really quite extra ordinary. It was years ago, you had to be some big enterprise to have access to stuff like this, with a huge and minimum advertising budget. Now, Facebook has absolutely democratized it. They have made it available to everybody. It's extraordinary. Anyway, Kurt, thank you. I appreciate it. I learned a lot. Bullock: Thanks a lot, Kurt. Kurt Elster: I have an announcement. Our first Shopify app went live in the Shopify apps store on Tuesday of this week. This episode comes out Thursday, went live on Tuesday. It is a crowdfunding app. If you have an existing store with an existing audience, but you want to have better pre-orders, our crowdfunding app, it's called Crowdfunder, we'll let you setup a countdown timer, show how many have purchase, set funding goals, and then chose what happens when it ends, and if it was fund or not. It's very cool. It's got a free trial. It's only 90 bucks a month after that. Kurt Elster: Check it out. I would really appreciate it. Go to the App Store, search Crowdfunder. Thanks, everybody, and we'll be back next week.